Domestic & Commercial Pest Technicians Bexley DA | Quality Property Care Ltd.
Say goodbye to pests! And say hello to our polite, understanding and English-speaking pest management technicians from Quality Property Care Ltd.. Book a professional visitation by calling us on 020 3746 4287. Our kind consultants are here for you. We work all year round with no exceptions for bank holidays and weekends! 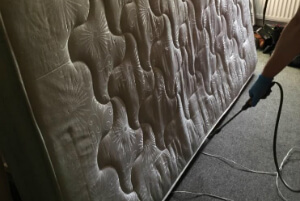 Whether the invasion of rats or dust mites has recently started, or you have been dealing with this issue for months, we will ensure you get an optimal pest management. Depending on the type of pest, different treatment methods will be used. Insecticides and pesticides are predetermined in advance. 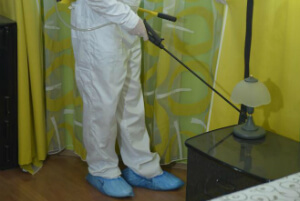 There's no need move the furniture or to provide the pest specialists with anything for the job. We come with a van with everything required. It is best for you to remain outside of your house during the treatment. It is safe for your children and pets, but the experts will need more space to handle the task. Note that both the pest technicians and pest control service are entirely insured. We cover any type of damages and omissions. Being on the market for years, Quality Property Care Ltd. is now a popular and well-known pest control company. We can offer you expert commercial and residential pest control service on a budget. The procedure is customised to minimise the damaging impact in your environment. It eliminates the last signs of pests in your home or working space. Note that the pest control price list is not hourly based, but fixed and depends on the size of your property, as well as the level of infestation. We get all of our equipment and supplies from accredited suppliers in the UK specialised in PEST control related materials. With more than 15 years of experience, a team of experts and the proper supplies, we guarantee no more pests, satisfactory results and no hassle. We can remove ants, bedbugs, cockroaches, silverfish, woodworms, fleas, rodents, dust mites, wasps, squirrels, moths, rats, pigeons, bee, flies and more. The pest control service is easier and faster if the infestation is small enough and you have called soon enough. But if there's already a rat nest, we need to approach with a more harsh solution. Our pest experts locate their entrance points, then take away any food leftovers and plug the access points into the house. To catch the rodents the pest control professionals use non-lethal traps and glue pads with decoy food on them. The traps can sit for 2-3 days. If you’ve booked a follow up procedure the technicians check to see how effective the traps were and remove the pests from your property. Otherwise, you might have to do that yourself. Contact us on 020 3746 4287. Our customer service is available. Get more details on the service and how we will treat your case. You can learn more about our current offers and deals.